Mineral makeup has taken over the fashion industry with a storm and is the best discovery made as mineral makeup is good for the skin. A "new" makeup discovery that's been around for 30 years is taking the cosmetics, fashion by storm in Pakistan. Mineral makeup is the latest addition to an emerging beauty culture in Pakistan which is dedicated to better living. 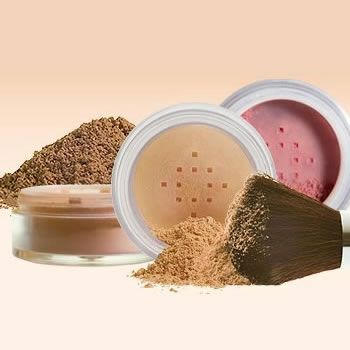 Unlike traditional products in Pakistan, mineral makeup ingredients include hypoallergenic loose powder that naturally nourishes the skin, contains no perfumes, talc, alcohol, dyes, mineral oil or preservatives. Not surprisingly, dermatologists in Pakistan are pleased. Mineral makeup is really good for sensitive skin. Mineral makeup doesn't feel like a mask. Mineral makeup contains ingredients that are good for skin. Mineral makeup does not enhance wrinkles like traditional powders. Mineral makeup also helps protect skin from sun. In Pakistan mineral makeup is the new inn thing and people prefer is as it has no side effects on skin rather it helps skin to nourish and look even more remarkable. With the ordinary makeup your skin gets damaged but that is not the case with mineral makeup.